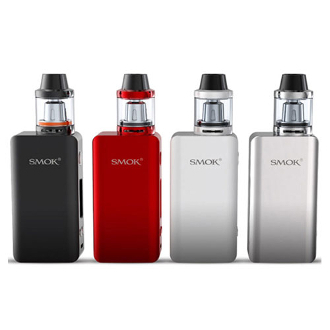 The Smok Kooper Beast kit is comprised of the Brit Beast Tank and Kooper Mini 2 mod. It has a max output of 80 watts with a temperature control range of 200-600 Fahrenheit. The kit can take a resistance as low as 0.1 ohms and takes a maximum ohm of 3. This gives the user a wide range of clearomizers and atomizers that can be paired with the kit or mixed and matched. Besides having a flexible range of ohms the kit is 510 threaded and is practically universally in both mod and tank. The Brit Beast Tank is made out of stainless steel which is known for prolonging the threading life and for help against the average wear and tear or tarnishing. It also has a 3.5ml liquid capacity and can be taken apart to keep with cleaning and maintenance. Keeping up with your tanks cleanliness helps keep your liquid fresh and true to its original flavor, along with a delightfully full amount of vapor. The same thing can be said for changing your coil which the Brit Beast Tank accommodates to by unscrewing the base of the clearomizer for access. At the top of the Tank is a 510 Delrin Drip with a V shaped airflow channel. On the bottom of the tank is an airflow control system which can be adjusted with left and right turns for a completely open airflow or add more resistance to your inhale. To fill The Brit Beast Tank unscrew the drip tip to see the two e liquid slots which will allow the user to fill it while only having to unscrew one area of the kit. Beneath the Brit Beast Tank is the Koopor Mini 2 Mod. The Kooper Mini 2 Mod has the classic box shape with all the super convenient features of most mods on the market. It has an OLED screen that displays your Battery Life, Mode, ohm resistance, and variable setting. There is a plus and minus button for easy control of your wattage and temperature. And lastly beneath it is your micro usb port that acts as both a charging area and a software update port. This kit is the definition of easy and classic!